Wine and Food Matching, or food pairing as it is sometimes called, is part science, part art. When you are using a new variety that you are not entirely sure of, the alchemy gets just a little more interesting. 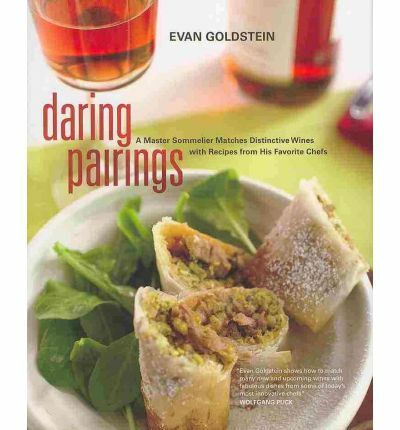 Evan Goldstein's Daring Pairings includes top advice about food pairing for interesting varietal wines. Get your copy from Book Depository, the smart way to buy books wherever you are. Although we will never find the perfect match we can all benefit by thinking a little creatively about how we can best use new wine varieties and styles with the wider range of cuisine available. Good wine needs food; and good food is best enjoyed with wine. Some matches are just made in heaven...there is nothing like a chilled grenache rose with tapenade, or maybe you have your own perfect match. Use the form below to share a recipe, with a wine suggestion. TIP: Since most people scan Web pages, include a short introduction in the first sentence, eg "Sangiovese goes well with this savoury tomato pasta sauce"